My Windows Media Center HTPC is connected to a Panasonic LCD TV via HDMI and has always suffered from overscan. The Windows Media Center setup wizard applies an overscan adjustment, which fixes the problem in Media Center, but overscan is still a problem for BIOS access. My first HTPC was an AMD build based around a Gigabyte GA-MA78GM-S2H motherboard running Windows Vista. My current build uses the on die graphics of a Core i5 processor and Windows 7. Both builds had an overscan problem. 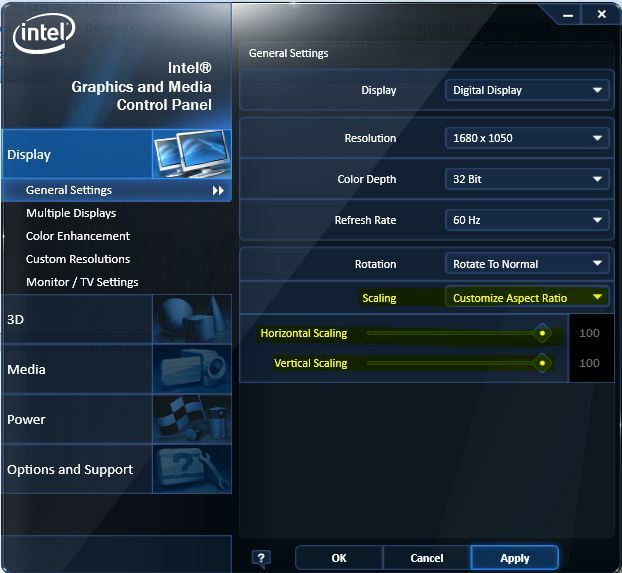 The Intel graphics driver has a scaling option which is accessible by right-clicking on the desktop and choosing Graphics Properties. This works well in Windows, but doesn’t help with BIOS access. The resolution to my overscan problem was found in my TV setup menu. There’s an overscan setting, which was enabled. Disabling the overscan setting resolved all the overscan problems. If you have the same problem it’s worth checking your TV setup too. This entry was posted in Window Media Center on June 21, 2011 by richardstk. When you install System Center Operations Manager 2007, you have the option to install a Web Console Server component, see here. The Web Console Server provides a browser based view of the monitoring pane from the Operations Console. A useful feature of the web console is that it exposes an RSS feed of alerts. In the screenshot below you can see an RSS button. This loads an RSS feed of active alerts. Other alerts related to management packs you’ve installed are also available as RSS feeds. 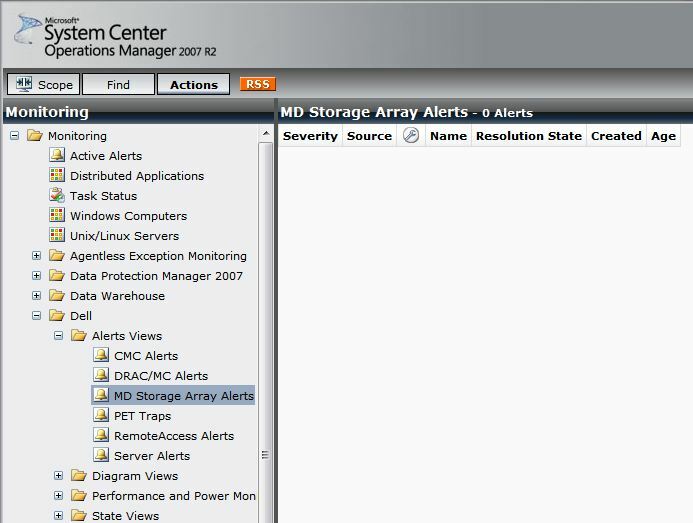 The example below shows the RSS button for Dell MD storage alerts. This entry was posted in System Center Operations Manager on June 9, 2011 by richardstk.